Yes! Cake sounds good! Thanks! Now that is a wonderful photo and interpretation of the word…..look at those old seasoned wood sleepers. Lots of history there if these tracks could tell a tale! Thank you. 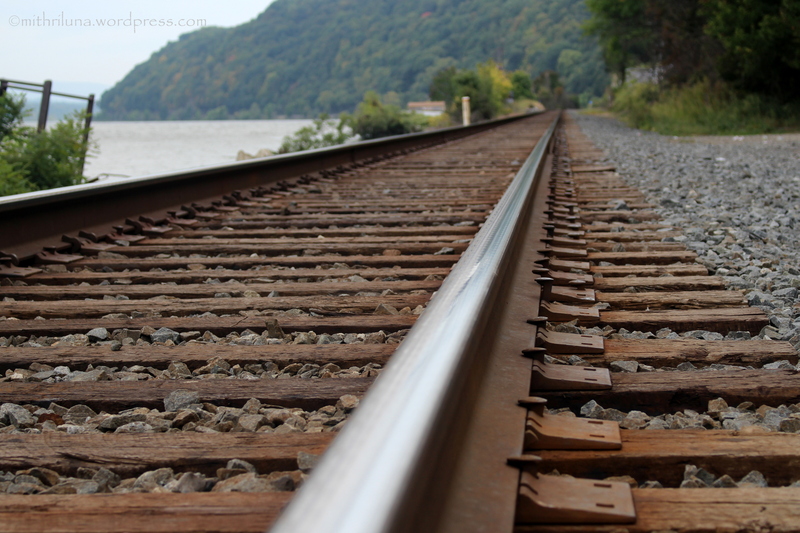 It was a new experience for me, taking a picture of railroad tracks. There are some things I might’ve done better but I am pretty pleased with it. Thank you! Yes, I was as low as I could comfortably go. The ground was covered with sharp rocks and there was this guy sitting in his truck watching me. I wouldn’t have taken so many pictures at different angles if I didn’t have my husband with me. What a great photo! Congratulations on your 200th post! Wonderful photo to celebrate a great milestone; congratulations! It is a wonderful achievement, success comes only with consistency and persistency…producing 200 post signifies that quality of yours…you have a lovely blog. Thank you so much! Thank you for visiting and commenting!